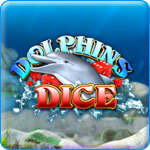 Dolphin Dice Slots Game - Download and Play Free Version! Enjoy the Feeling of Winning $1000s in Virtual Cash! A Casino Just For You! This game brings a fancy underwater-themed casino to your home! With thousands of virtual dollars to play with, enjoy the slot machine, roulette, cards and more and go for the jackpot! Can You Win the Jackpot? Spin the slots and watch seashells, dolphins, pearls and more roll! Choose how much you want to bet per spin. 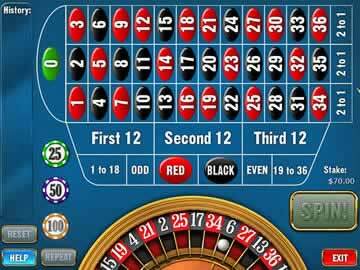 You can bet with your winnings on roulette or cards. If you're lucky, you'll earn the chance to play one of six mini games. Take your chance at the Crab-Pot Jackpot by selecting crab pots to get as many crabs as you can or go on a treasure hunt where you can win free games and really rack up the winnings. Endless Hours of Exhilarating Entertainment! This easy-to-play game is a great way to relax after a hard day and enjoy the feeling of winning thousands of dollars of virtual cash. The underwater theme will make you feel like you're in paradise so enjoy your own vacation from your home! 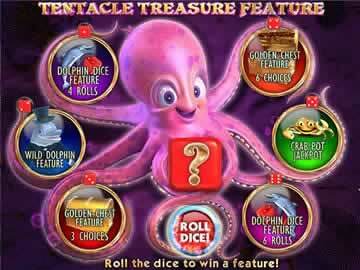 For all the slot machine fun you can desire play Dolphins Dice Slots now!